You may not copy, modify, sublicense, or distribute the Program except as expressly authorized by the author. By installing and using the software, you agree to be bound by the terms of this agreement. 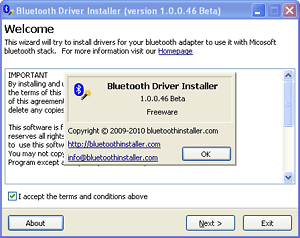 If you do not agree to the terms of this agreement, do not install or use this software and delete any copies of the software that you have downloaded. This software is freeware. The author of this software reserves all rights granted by copyright.